When I think of Peeps, I usually think Easter time, but it can be for any holiday or really any time of year. Peeps has great Halloween candy as well! 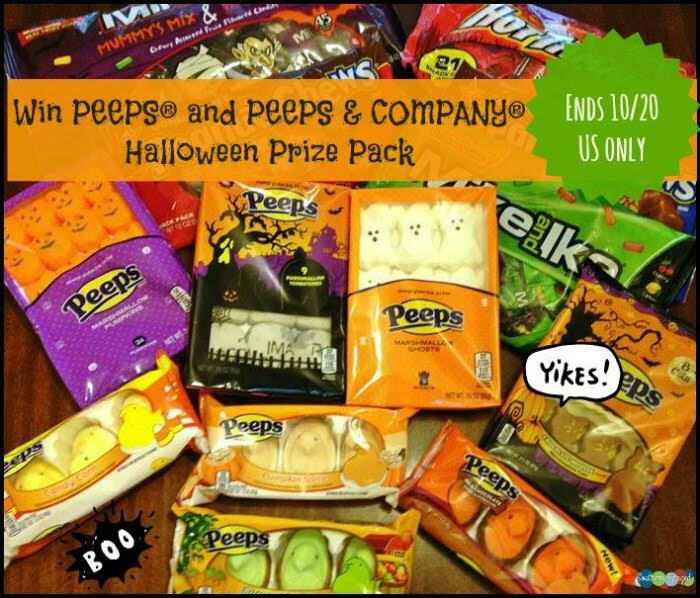 How would you like a chance to win a SUPER fun PEEPS® and PEEPS & COMPANY® Halloween Prize Pack? We thought you might! And, PEEPS & COMPANY® wants to offer you a chance to have a spook-tacular Halloween! So, let’s get to the giveaway! Goldenberg’s® Original Dark and Milk Chocolatey Peanut Chews®, PEEPS® Marshmallow Pumpkins, PEEPS® Marshmallow Ghosts, NEW PEEPS® Tombstones and PEEPS & COMPANY® Witch Chick Plush. Giveaway ends 10/20 at 11:59 pm ET! Open to US residents 18+ and older. when will a winner be chosen i’manxious,and excited to find out if i win.or find out who the winner is.? hi how much longer before the peeps goes off.? Watching my grandchildren trick-or-treat and handing out candy to neighborhood little ones. hi it’s Maria i just gor back in on the giveaway,and i’mall upto date on the giveaway.and i can’t wait till it goes off to see if i’mone of the winners.i really,really,really want to be one of the winners.i’ve been making sure to keep mine upto date.and have been getting really really,really,anxious,and excited for it to go off.so i can’t wait for the winners to get an email to let us know who wins. We live in the country, so hubby and I will just watch a scary movie, and have a few beers. We are having a surprise birthday party for my Mom’s Halloween birthday! Passing out candy to my Trick-or-Treaters. I am going to go trick or treating with my grandkids. We just plan on kicking back and watching some movies this Halloween. We are going to a family Halloween party! pumpkin carving, trick or treating, watching scary movies, and baking spooky treats! We plan on Trick or Treating with friends! We will go trick or treating ! We always take the kids trick or treating and then go out to dinner with the family. Afterwards, we go home and dump all the candy to see what they got and to check them to make sure nothing was wrong with them. The kids will have friends over and go out trick or treating. We will be taking our 3 kids out trick-or-treating. Then coming home and handing out candy and scaring the trick or treaters! We will be trick or treating with the kids. I will take my kids trick or treating. We will be going Trick or Treating around the neighborhood, and at the zoo! I taking my son, nephew and niece trick or treating. My plans for this Halloween are to stay in, watch some scary movies, and give out some candy. Hi it’s MariaA.Crosbie and i just got back in the peeps giveaway,because my mom and i love peeps,and we would really,really,really,love to win the peeps giveaway.and have the peeps for halloween. Going to a real haunted house. We’re going to a party at my cousin’s house. I plan on going out trick or treating with my grandchildren. I am dressing my son, his father, and I as minions to go trick or treating! I’m so excited! My son is 2 so he just learning about the fun! 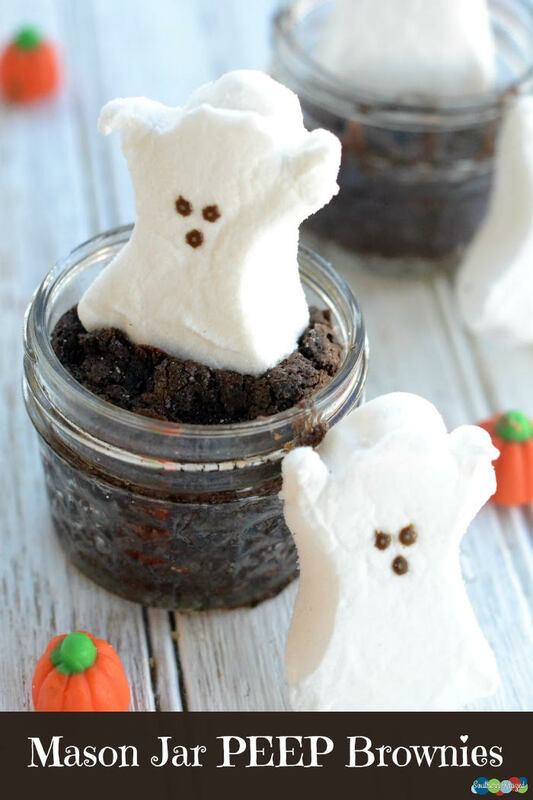 We are going to make Halloween themed food for our meals and then go trick or treating. We plan on hanging out with the neighborhood kids. Taking my daughter trick or treating! Our plans for Halloween this year is a quiet night in watching classic horror movies. I will be staying at home to hand out candy. I have to work for the first time in many years, I will miss seeing all the great costumes. My plans are to pass out candy to the Trick-or-Treaters in our neighborhood. I’ll probably be inside watching horror movies! We plan on taking my daughter out trick or treating and then sit by the firepit outside and hand out candy. Going downtown dressed as Zoidberg. Thanks for this giveaway! My husband will take our son trick or treating while I stay home to pass out the goodies. We will be going trick or treating and if it’s not too late, we’ll go to our church’s carnival. I love Peeps and almost any kind of candy! I plan to carve pumpkins, pick up a pumpkin shaped pizza at Papa Murphy’s and then take the kids trick or treat. Then home to hand out candy and to watch Halloween specials. I plan on going to a Halloween party. I love love love my peeps. I have not had any trick or treaters at my apt building ever, so I will just walk around with nieces and nephews when they go out trick or treating. i just gotr in on the peeps giveaway,and the walmart giveaway and i hope i win both of these giveaways.it would be nice to win both of these giveaways. Peeps are so good, I have been eating them since I was young and that is a long time. We plan on staying home and passing out candy to the little ones.